It's not hard to find a company that will service and repair your HP plotter but did you know that we are HP's authorized warranty provider for the valley? Don't risk your investment by using second rate "repair all" service companies. 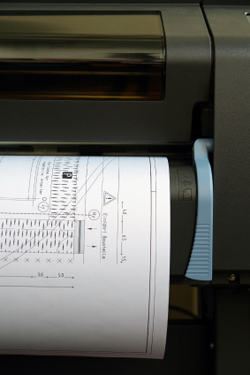 Our techs are HP, Xerox and Kip factory trained, specific to wide format plotters and copiers. We also ofer maintenance contracts to insure that your equipment is kept in working order. Call us for a service estimate.